LJR Kelly is a children's book author. He was born in London, England, and studied at Trinity College Dublin, Ireland, and Dartmouth College, USA. He lives and writes in a cabin at the top of a hill in New Hampshire, USA. His first children's book, "Blanket and Bear, a Remarkable Pair" (Putnam), illustrated by Yoko Tanaka, is in stores. I have always been amazed that El Lissitzky made a suprematist children's book about the conflict between two squares--one black, one red--published in 1922. The count-down has begun to the publication date for the book.....and I realized I have been hoarding posts without actually putting them up. To start with, here is a picture of my own family's ancient childhood bear out on a sail with my father and I last weekend. He always seems to have such a wonderfully quizzical look of judgement on his face! 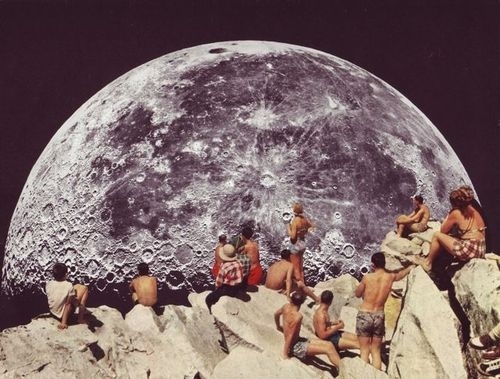 In honor of this week's "super moon", I wanted to point people towards Duncan Macmillan, a brilliant playwright and friend, who wrote this lovely surrealist radio play (I Wish to Apologize for My Part in the Apocalypse) about a woman who falls in love with the moon. The Moon reciprocates the love and starts to creep towards the earth. I would love to adapt it into a children's book!